Celebrate the season by the sea all through December. Old Town lights up Thanksgiving weekend with a tree-lighting ceremony at the Night of 10,000 Lights: Enjoy refreshments, music and caroling, and photos with Santa. Shops stay open for the evening’s Old Town nog walk. 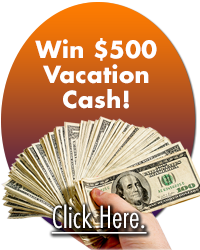 This free community event is presented by the Bandon Chamber of Commerce with the Greater Bandon Association. 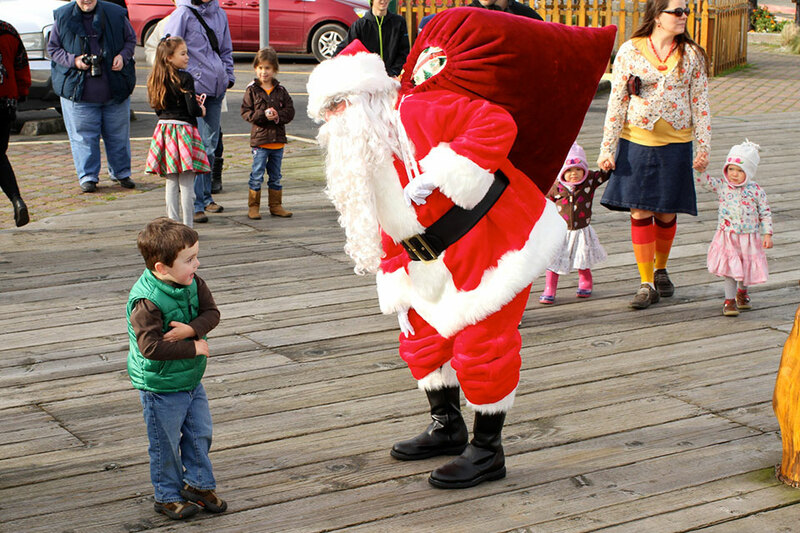 What does Santa like to do in Bandon? 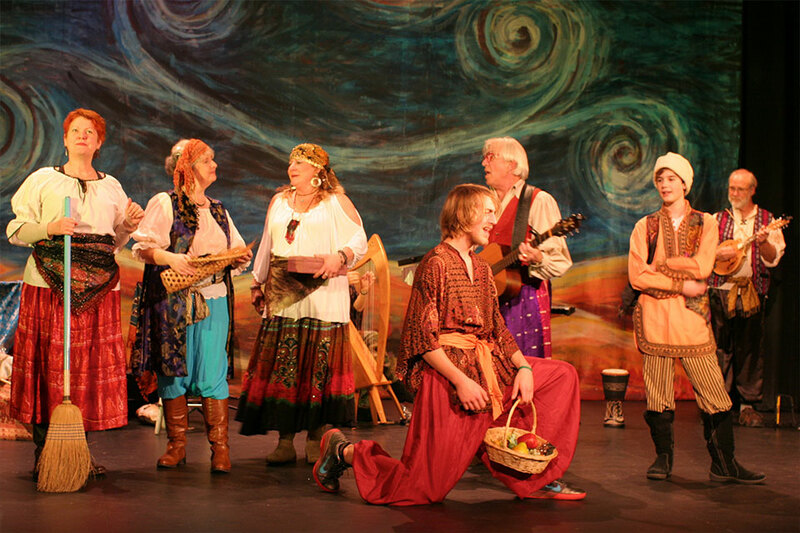 Visit the Port of Bandon! 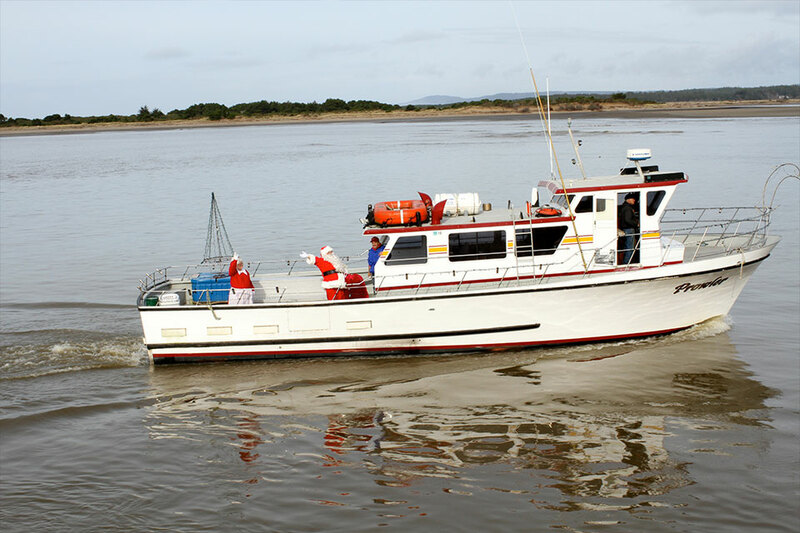 Meet Santa and Mrs. Claus on their mid-December cruise up the Coquille River with Prowler Charters. Follow Santa to the Old Town Marketplace for a photo op. 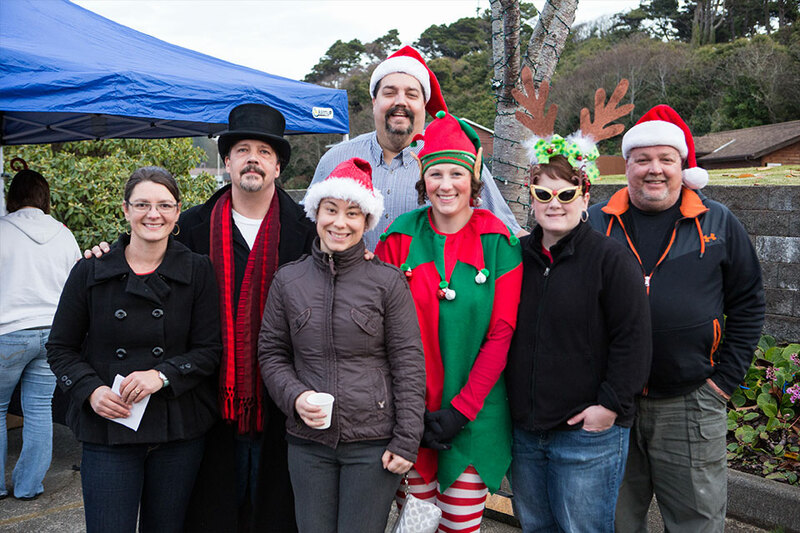 For more winter activities and holiday events, check our event calendar, or visit the Bandon Chamber Visitors Center, open every day.